Drinking and driving puts everything on the line: your freedom, your reputation, your bank account, your life - and the lives of others. See the stories. Learn the lessons. Special thanks to MADD for coordinating this campaign. Number of fatalities in 2015 as a result of alcohol-related crashes. Driving with a blood alcohol content (BAC) of 0.08% or more is illegal and greatly increases the risk of serious injury and even death. If you're under 21, driving with a BAC over 0.0% - that's ZERO - is an automatic DWI. Commercial drivers - a BAC of 0.04% or more will land you in jail. The effects from a DWI can last a lifetime. Court costs and lawyer fees can put you into deep debt. You could lose your license, and any jail time you have to serve affects your work and family. You may also have to perform community service. And higher car insurance rates will hit you in the wallet on a regular basis. About "Booze It & Lose It"
"Booze It & Lose It" was launched in 1994 to increase awareness of the dangers of drinking and driving, as well as the penalties associated with driving drunk. Even with its success, nearly 8,500 people have lost their lives in alcohol-related crashes in North Carolina since then. 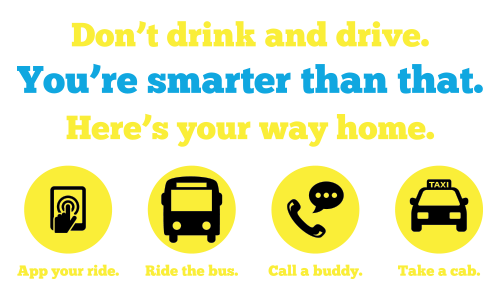 "Booze It & Lose It" also partners with law enforcement agencies across the state to get drunk drivers off the road. Nine dedicated DWI Task Forces staffed with officers specially trained to identify and apprehend drunk drivers in North Carolina are located in these counties: Brunswick, Buncombe, Columbus, Forsyth, Guilford, Mecklenburg, New Hanover, Robeson and Wake. The Governor's Highway Safety Program is dedicated to promoting highway safety awareness to reduce the number of traffic crashes and fatalities in the state of North Carolina through the planning and execution of safety programs.